Healthy Ears Could Mean Healthy...Hips? Healthy Ears Could Mean Healthy…Hips? What do hip fractures have to do with hearing loss? A lot apparently. Recent studies show just another very important reason that hearing care is essential to your overall health. Multiple studies have shown a distinct link between osteoporosis and hearing loss — both gradual and sudden. One such study showed osteoporosis sufferers are 76% more likely to experience sudden hearing loss than the general public. This form of hearing loss can strike suddenly taking most or all of the hearing within days. Sometimes it’s temporary. Others, it’s permanent. Just like you have bones in your hips, feet, and arms serving essential functions, tiny bones within your ears are responsible for transmitting sound through the canal. As bones throughout the body feel the effects of osteoporosis, so do the bones in the ears. This can lead to tinnitus (ringing) and other hearing challenges. Low bone density not only increases the risk of falls; it also impacts hearing. For many people, this can be a double whammy. Here’s why. Within this same bony structure lies the system responsible for helping you maintain your balance. As these bones degenerate, a person can struggle with balance as well. This lack of balance can cause a person to suddenly feel disoriented, leading to a fall that could cause a bone fracture. Also, this lack balance can cause “awkward” and “unaligned” movements like turning your ankle in or walking with a hip higher than the other. That puts extra stress on joints, causing joint pain. Fortunately, with early testing and prevention, you can avoid this outcome. Getting a regular hearing test can help your doctor detect these issues early. As with many ailments, early detection is key to either reversing injuries or preventing further damage. In addition to a traditional “raise your hand” hearing test, you may have an Auditory Brainstem Response (ABR) test. This non-invasive test that looks at how your brain responds to sounds on a brainwave chart. The audiologist can analyze this to evaluate your condition. You might also have a videonystagmography (VNG) test. With this exam, your audiologist tracks eye movements while you watch something move around. At the same time, they stimulate the ear canals with air to help them detect abnormalities. Early detection is important but the earlier you start improving your overall health, the better outcome you can expect. 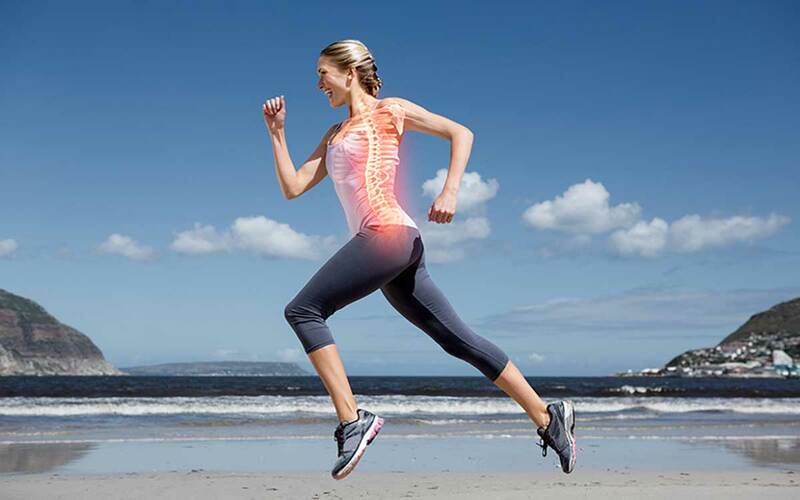 Exercising regularly since bones throughout the body, strengthen from use. Don’t wait to make healthy changes to protect your hearing, bones, and joints. See your audiologist. Get a hearing test and balance test to understand the state of your health better.